This weekend, we had the joyful opportunity to observe the Lord’s Supper together! The celebration of communion is so rich and deep. I’m not sure that we can really take it all in at once. I think that’s once of the reasons that Jesus told us to do it so often. 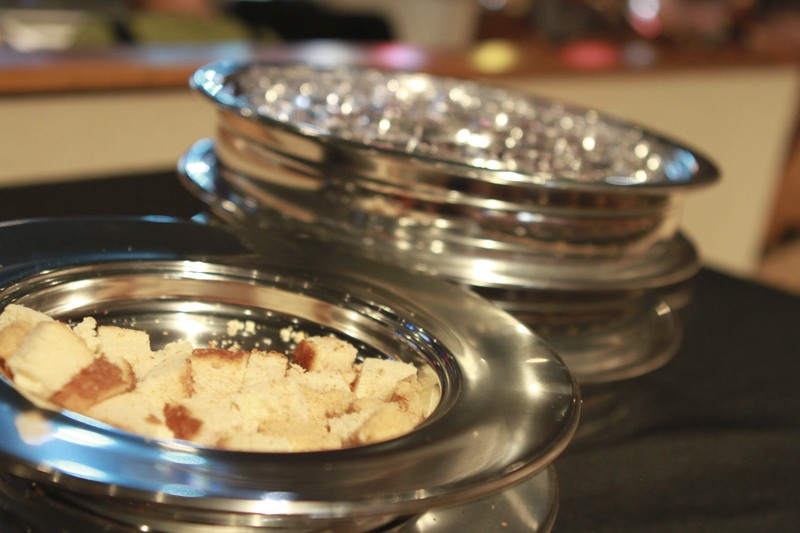 However, there are some important things to understand EVERY time we take communion together. Initially, we need to understand the symbolism of the bread and the cup. The bread symbolizes the broken body of Jesus. Jesus said, “This is my body, broken for you.” The cup, or the fruit of the vine, symbolizes the blood of Jesus that cleanses us from our sin. Together, they represent the incredible, passionate sacrifice of God’s Son on the cross for all of us. In addition, we need to understand that the Lord’s Supper is a remembrance. We are to look back and place ourselves at the foot of the cross. We are to think deeply about the meaning of His life and death. Force yourself to draw near and view His wounds…hear His cries…dwell on what happened at the cross. Not only is it a remembrance, but it is also a witness. Jesus said that by observing the Lord’s Supper, we are proclaiming His death until He comes again. It is a testimony that we are not ashamed of HIm. It is a picture of the gospel for all to see. Finally, the Lord’s Supper is done in anticipation. Jesus told us to do this until He comes again. We are to never stop doing this together. This ordinance keeps us looking forward to the day when He returns. Every time we partake in the Lord’s Supper, we are expressing that we have not forgotten, and that we are anxiously awaiting His return for us! So, may we examine ourselves, confess our sin, join with our brothers and sisters, and participate with the millions of faithful down through the centuries in this amazing ordinance.